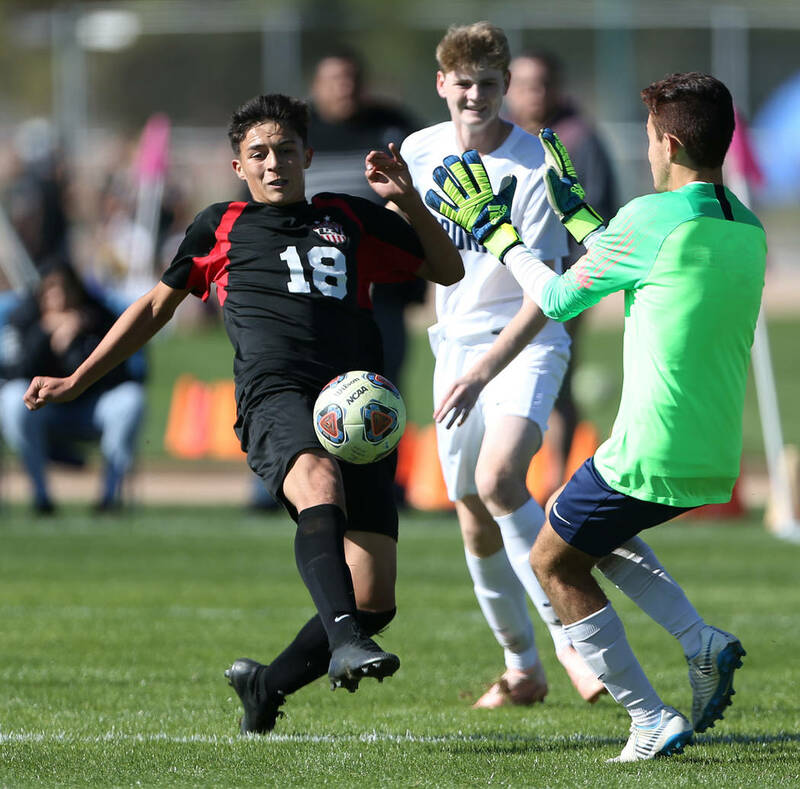 Sergio Aguayo scored three goals — part of a stretch of four Las Vegas tallies in eight minutes — as the Wildcats defeated Coronado 5-1 to win the Class 4A state boys soccer championship at Bettye Wilson Soccer Complex. 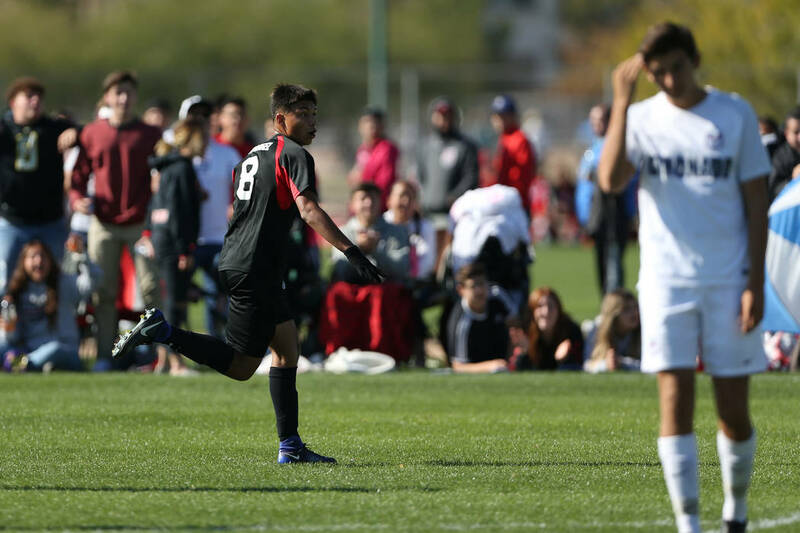 Sergio Aguayo was carted off the field Friday in the state semifinals and spent three hours in a hospital. 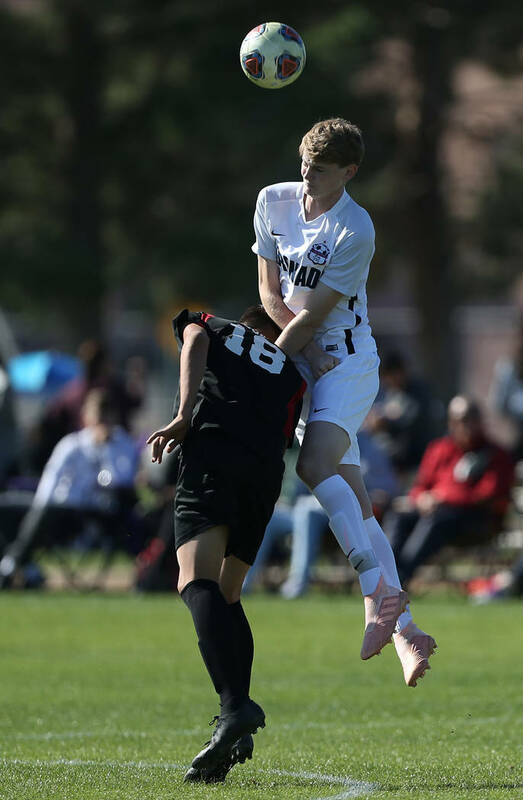 You never would know watching him play Saturday. 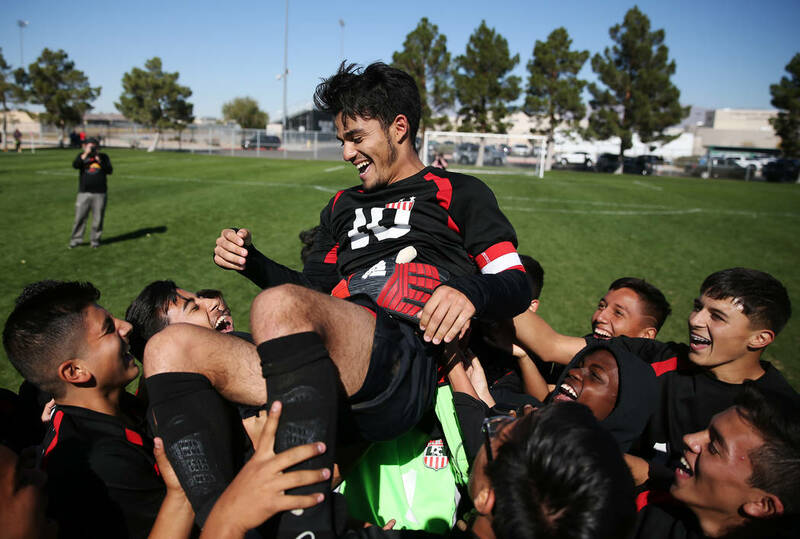 Aguayo scored three goals — part of a stretch of four Las Vegas tallies in eight minutes — as the Wildcats defeated Coronado 5-1 to win the Class 4A state boys soccer championship at Bettye Wilson Soccer Complex. 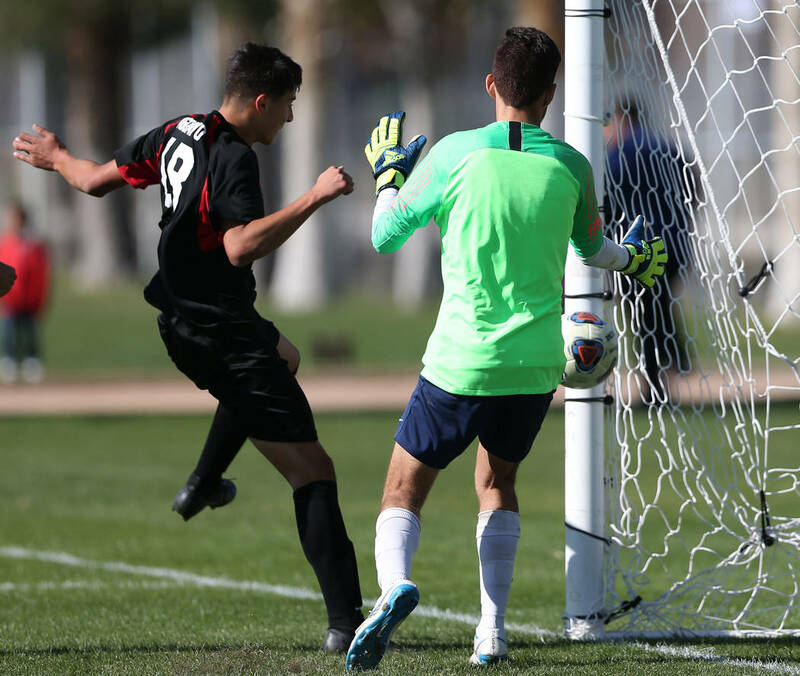 Aguayo scored two of his goals on headers off setups from Daniel Rangel in the 48th and 50th minutes, then completed his hat trick six minutes later. 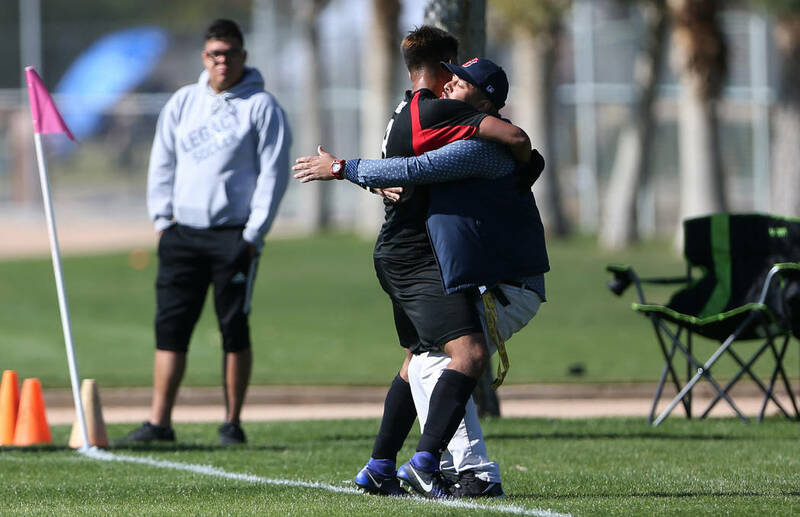 In the 55th minute, Rangel scored his second goal for Las Vegas (20-1-1), capping a flurry of goals that put the game away. 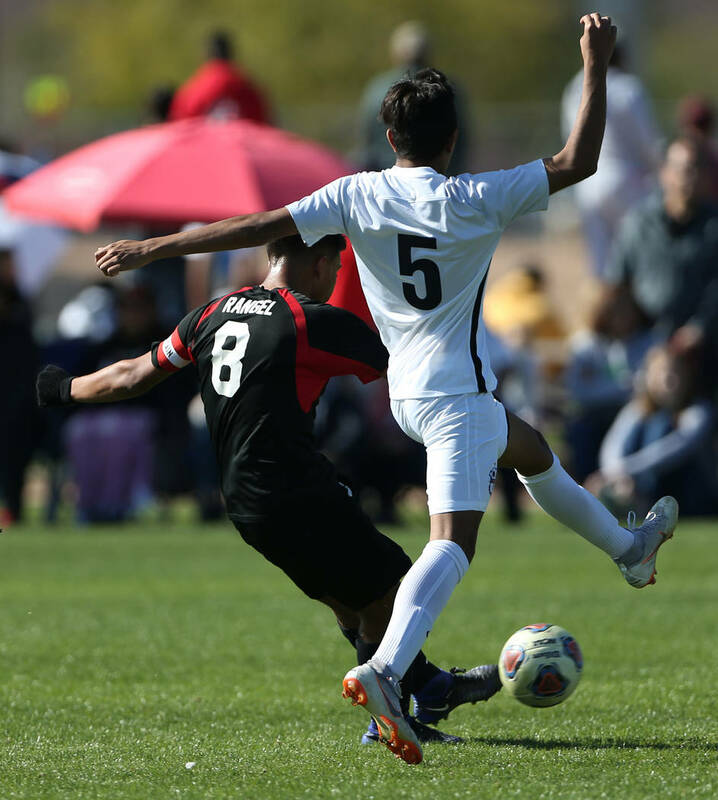 Las Vegas’ only blemish was a 52nd minute goal by Coronado’s Javier Estrada. 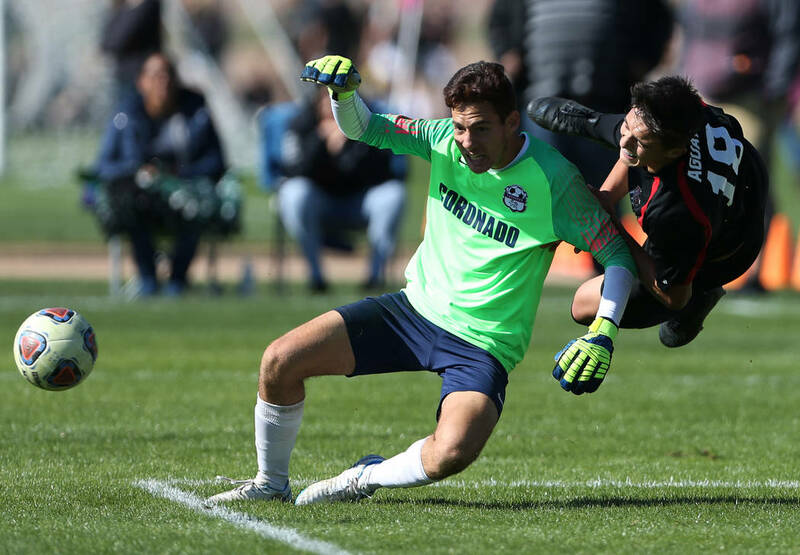 The Cougars (21-4-1) hit two posts in the game, and Las Vegas keeper Rodolfo Gomez made eight saves. 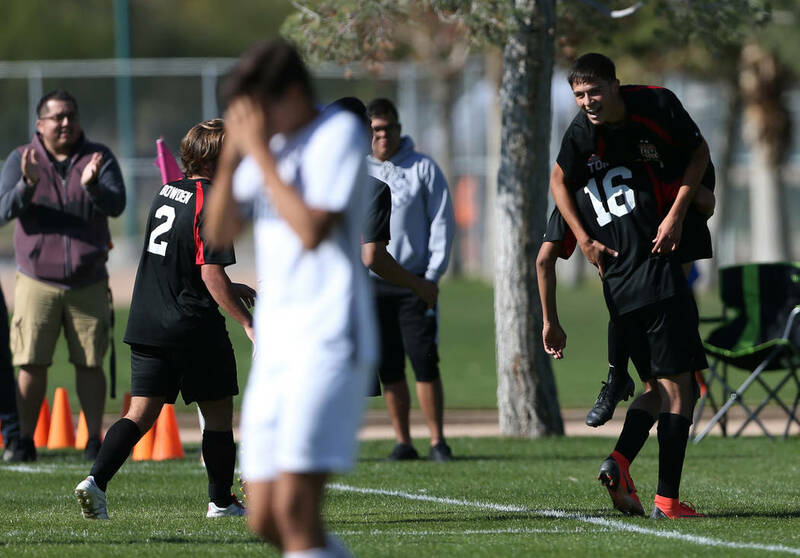 The win put the bow on a dominating six-game postseason run for the Wildcats: championships in the Mountain Region, Southern Nevada and state, no games within two goals, four shutouts and a 25-2 goal differential. 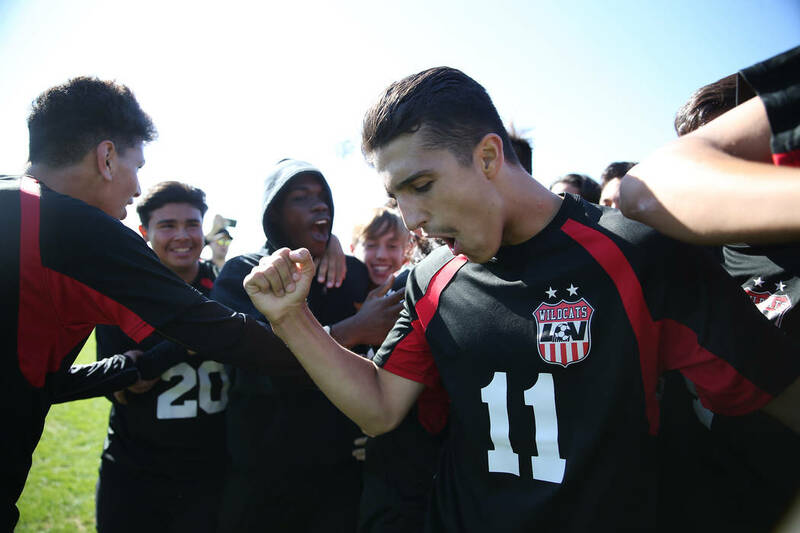 Add it up, and it was Wildcats’ third state championship in program history and the first since they won in 2008 and 2009.